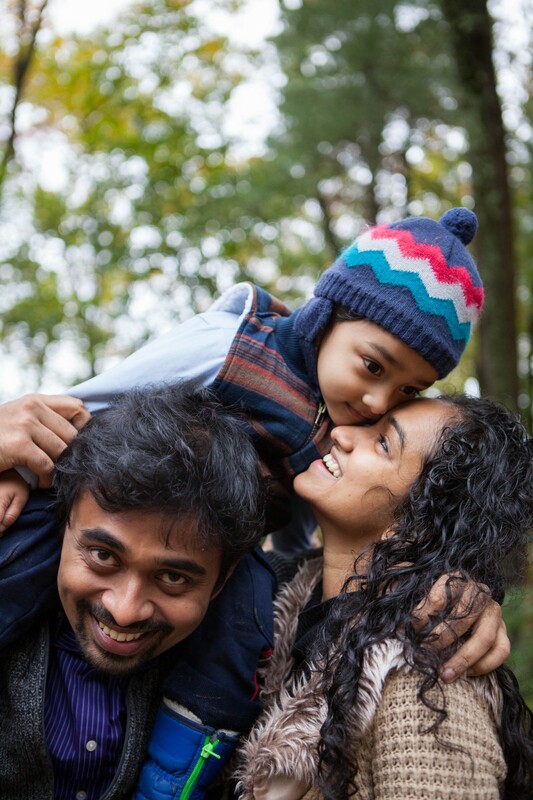 Our latest MBA Mama of the Month is Charanya Kannan, a wife and mother of one, who will be graduating from Harvard Business School in a few short months. Charanya is from India where she started her career as a TV anchor. Then, armed with an engineering degree and a diploma in management from Bombay, she joined the leadership program of the Tata Group. They sent her to work in South Korea for their truck manufacturing company where she was the youngest person and the only woman to hold a leadership role. 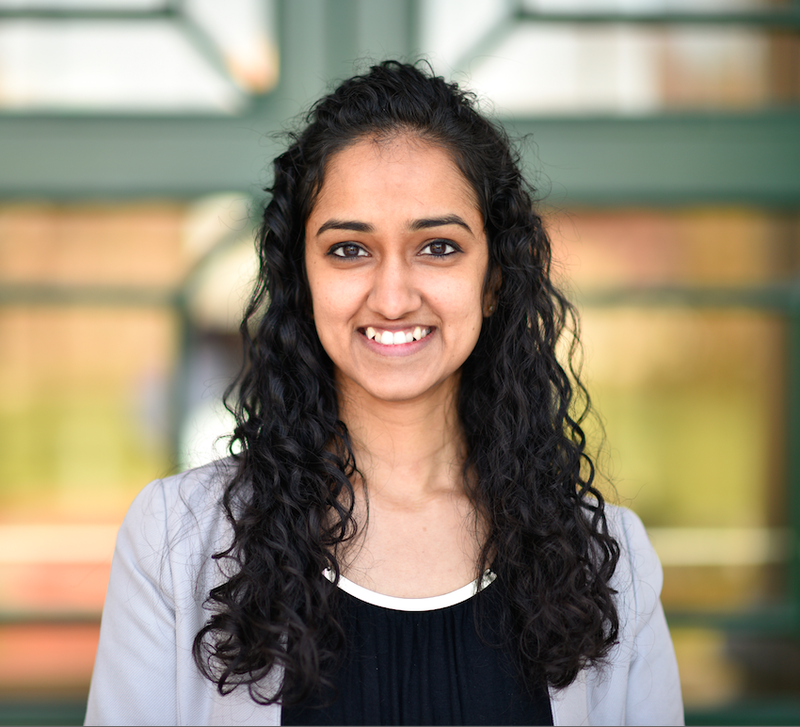 After graduation from HBS, Charanya will go to work at Boston Consulting Group. 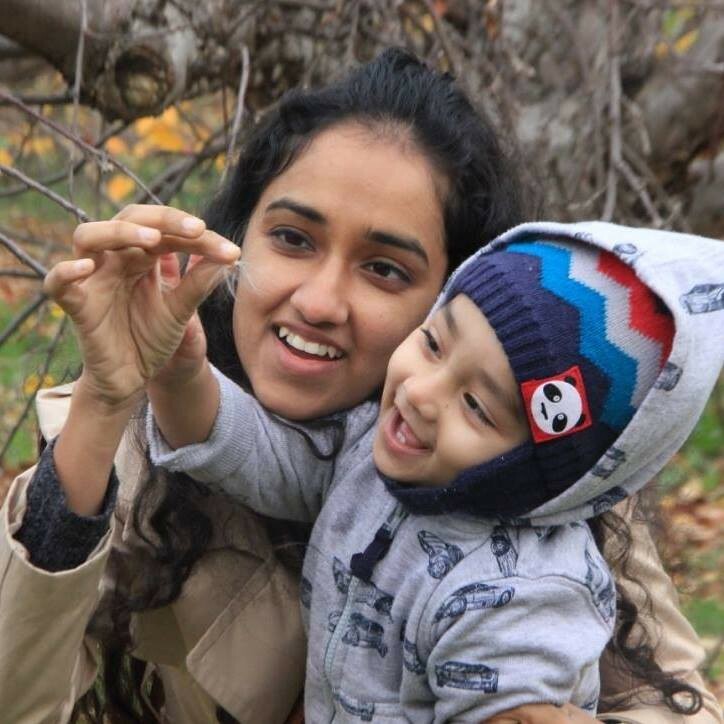 Check out MBA Mama’s Q & A with Charanya! What motivated you to pursue your MBA? How did you know it was the right time to pause your career and start your MBA? My husband and I were working in South Korea. When we desired a change of scenery, we found that there were very few cities in the world where we could work together given our career choices. My husband is a hardware engineer and I am interested in consumer products. I decided that an MBA from Harvard would offer me more mobility and more choices especially to work in the west. I didn’t see it as a pause in my career as much as an incubator that will help me accelerate my career trajectory in the later years. Also, Sheryl Sandberg’s idea of a career gym appeals to me. I knew an MBA would make me happy irrespective of whether it would be the fastest way to move upwards. When I was admitted to HBS, I was three months pregnant. I was due in July and school started in August, I realized it was logistically impossible to move across countries right after delivery, so I deferred my admission. The school was extremely supportive and encouraging of my decision. Why did you choose HBS? What activities are you involved in on campus? I already had a management degree from a very good school in India, and that was modeled along HBS’s classroom style with case study discussions. That shaped my opinion about the unique pedagogy and its effectiveness at HBS. When one of my friends who worked with me got into the school, I knew I had a relatively good shot too given that our profiles were similar. I did not apply to any other school other than HBS. I’m the Executive Vice President of On-Campus Engagement with the Women’s Student Association. I write for the school magazine Harbus and some of those articles have been published on the Huffington Post too. During the first year, I worked on the India Conference. I’m a trained Indian Classical dancer and I was part of two dances for the Indian Cultural night here. My section also chose me to represent them as a model for the Retail and Luxury Goods Club Fashion show, I did that show both years and it was a lot of fun. How has your time at HBS shaped your leadership style and your career trajectory? Previously I wanted to be the best at whatever I did. Coming to HBS has completely changed that outlook, the position of privilege and the sense of security and confidence that comes with it has changed me a lot. The biggest change was the understanding that life is not a race but each of us has a distinct and unique role to play. I find that I am increasingly not concerned about my achievements but the impact my actions have on others. The school reminds you often and everyday about their motto of educating leaders who make a difference, and I’ve begun to evaluate my life through that lens rather than the number of certificates I’ve gathered for myself. Do you have any time management tips that help you stay on track? I try to go to bed as early as possible to get an early start for the next day. I also make it a point to finish all my school work before I bring my son back from daycare. Basically, the time pressure makes me more efficient. Before I had my child I remember how much I took my time for granted! I don’t hesitate to ask for help. A lot of my friends have helped me with running errands now and then or giving me a quick summary of case facts before class. Can you tell us about your family? What childcare solutions have you utilized during your MBA program? My son Vedanth is two years old. It is an interesting phase, he is now stringing words together and loves to learn new words. I have fun making him say words like acceleration and magnesium. When we moved to the US, Vedanth was just a year old, he was still crawling back then. He wanted to crawl everywhere- in restaurants,grocery stores, in the road crossing! My husband Vikram is a hardware engineer. He quit his job and moved with me. He was a stay-at-home dad throughout the first semester and a pretty good one at that. Once he started working, my parents came to help us and it was great having them around especially since I was interviewing then. Then, my parents-in-law came and helped us out during my difficult summer internship time. I am incredibly grateful that I have a supporting family of parents who are ready to pause their jobs and lives for a few months and travel to another country to help us out. This December, when I had to travel for a few weeks for my course, my brother came over to take care of my son. For the second year we got into one of the Harvard daycares. Demand is super tight for all the daycares here. I registered for the HBS daycare when I was three months pregnant and I did not get even spot even two and a half years later. Apparently even the Dean jokes that his daughters couldn’t get into the daycares here. After a lot of escalation I managed to get into the daycare that is across the river. It is just close enough that we can’t drive to it, yet it is far enough that the 15 minute walk across the river is excruciatingly cold during the winter! But it is an excellent day care and I love how much my son is learning like social skills, language and empathy. What have been your biggest challenges as an MBA mom? How have you overcome those challenges? Networking and forging close friendships with classmates is a big challenge. Most evenings I am at home and it is hard for me to attend socializing events. I try my best to make it to events that are on campus. I also try to arrange lunch meetings instead of dinner. I also took courses that involve travel so I could get a week or two of my own time. This past December, I traveled to Ethiopia and Tanzania for a course on public private partnerships. Last December, I went to Morocco for consumer research. Some of my good friends are people I met during these trips. Another big challenge is financial status. The Harvard daycares are twice as expensive as other daycares and living on campus is expensive too, it is hard to manage all this with a single income. The school provided us with financial aid for tuition so that offered some respite. I have generously availed a massive loan and payback is going to be long and constraining. Can you describe a typical day in your life as an MBA Mama at HBS? I am up at 6, I do some cases and then cook meals for the day. Once my son is up, we entertain him, feed him breakfast, wash and dress him up (which is a huge challenge!) and I drop him off at daycare and go to my classes that start at 10 am. This semester, all my classes start at 8:30 am and I now have to get up at 5 am. My husband will now do the cooking and drop-off. I come back in the afternoon, study, run errands and then pick my son up at 5 pm. My husband and I take turns in cooking dinner and putting my son to bed. The latter is a huge two hour task and he goes to bed pretty late, only around 10 pm! I then do some cleaning and hit the bed. Clearly, cleaning gets ignored most days and the house looks often looks like it was hit by a hurricane. The daycare drop-off and pick up consumes more than an hour every day because it is in the other direction. It helps that the second year course load is relatively lighter. I shoulder most of the work at home for now because my husband commutes for 2 hours each day. With my consulting career, we plan to move to closer to his work and we will have a role reversal next year with him being the primary parent. What advice do you have for professional women considering their MBAs? Considering starting a family? Don’t be afraid about taking the plunge for an MBA, and don’t be afraid about taking the motherhood plunge. It looks far more difficult from the outside, but when you actually do it, you will be surprised at how much more easier it is than you thought. The idea of putting someone else’s needs before yours will seem daunting, but, that’s how humans have been programmed, so take the plunge and all these years of evolution will put you in autopilot mode and make sure you manage well. If you haven’t already, choose your partner wisely and once you have done that, make sure you have a lot of conversations about what works. In a dual career household, it often starts out equally but more often than not it is hard to sustain that momentum and it’s the women who end up stepping back. It is important to have a partner whose values, ideals and ambitions are tied to yours, one who is open to having such conversations and one who doesn’t shy away from sharing household work or slowing his career track once in a while.